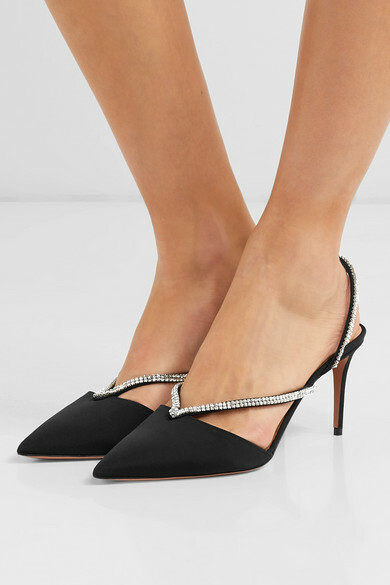 Aquazzura's 'Eden' pumps have been made in Italy from black faille and set on slim stiletto heels. 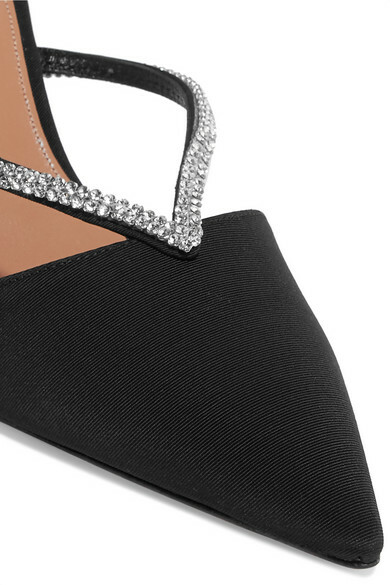 This pair has pointed toes and shimmering crystal-embellished straps - the one at the back is elasticated for a flexible fit. Wear yours to evening events with tailored pants. 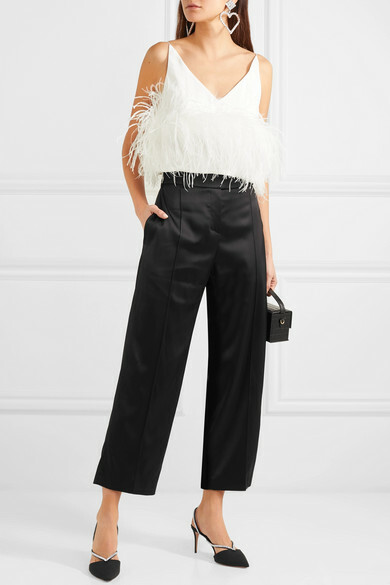 Shown here with: Alexandre Vauthier Pants, 16ARLINGTON Camisole, L'AFSHAR Tote, Alessandra Rich Earrings.